Even though inbound marketing is now an essential part of any company’s marketing strategy, one question still persists in the minds of business owners and executives: How much does it cost? It’s a valid question because inbound is as much a change in process as it is an investment in digital marketing. When it comes to the digital marketing side of things, a recent Gartner survey showed that, on average, US companies spend 2.5 percent of their revenue on digital marketing activities. And these efforts are only 25 percent of the full marketing spend. So if your company generates $5 million in revenue, you would likely spend $125,000 on digital marketing alone. Now each industry is different, but one thing is certain: People often underestimate the cost of marketing. That makes budgeting for inbound marketing even more difficult for some because this marketing style requires a long-term commitment. And depending on what stage your company is at, the budget considerations are different. If you are just getting started with inbound marketing, then there are certain investments you need to make to launch successfully. First, you need the right software. As HubSpot partners, we obviously recommend HubSpot’s all-in-one marketing platform because it covers features you need to start out on the right foot—and the ones you’ll need in the future. Once you have the software, it's common to complete a website refresh to fully take advantage of the platform, along with content for blogs and downloadable guides and ebooks that will generate leads. A refresh and content work in tandem because you can design and write new web content with the same targeted buyers in mind all at once. If your website is already optimized for lead capture and you’re generating content to bring in traffic and leads, then your next investments will be designed to increase the quantity of leads coming into your system. A focused demand generation program can include different forms of advertising, from social to PPC to traditional print ads. In addition, promoting your educational content through paid third-party email blasts from relevant trade publications will help you generate new leads—without hard selling a demo or quote request on first touch. Finally, public relations outreach to relevant media outlets and bloggers can help you build relationships (and inbound links) that can boost your search presence, while engaging with buyers and thought leaders in social media can boost your profile. The real goal of any marketing department is to deliver more sales ready leads. Once you’ve built the infrastructure for capture and generation, you can implement programs, such as lead nurturing, to move leads through your sales funnel. This series of communications can be both via email and on your website, with personalized content presented to users at their various levels in your funnel. Regardless of where the users interacts with your content, this nurturing is designed to continuously engage with a prospect until he or she is ready to buy. In addition, you should launch marketing automation solutions, which can include lead scoring and sales notifications as a person moves through your funnel. Most automation is operational, so it’s important to invest in a CRM such as Salesforce at this stage, if you haven’t already. Your CRM and marketing software working together are the only way to prove real return on your marketing investment. 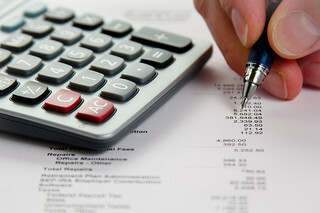 What inbound marketing budget challenges do you face? Let us know in the comments below.